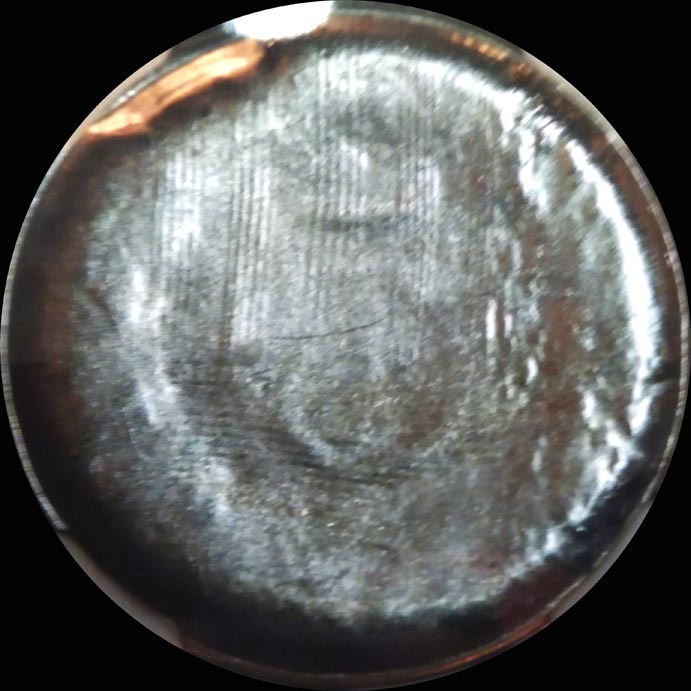 The reverse shows an expanded, late-stage brockage, so we're dealing with a hammer (reverse) die cap. The mystery is the incuse, normally-oriented 5. Incuse, normally-oriented design elements typical result from a die cap that has become dislodged and shifted position. It doesn't take much of a shift. 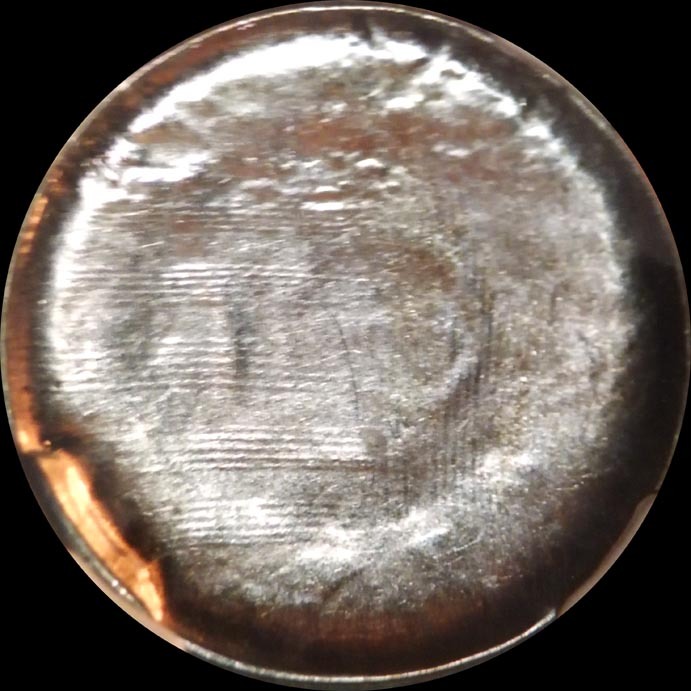 As long as the metal that conformed to the recesses of the die cap moves out of those recesses, the slightly thicker metal in those recesses will be forced into the next planchet. 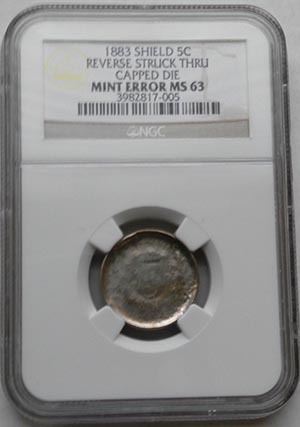 If you catch a shifted die cap at just the right point, you can get both mirror-image and normally-oriented elements. 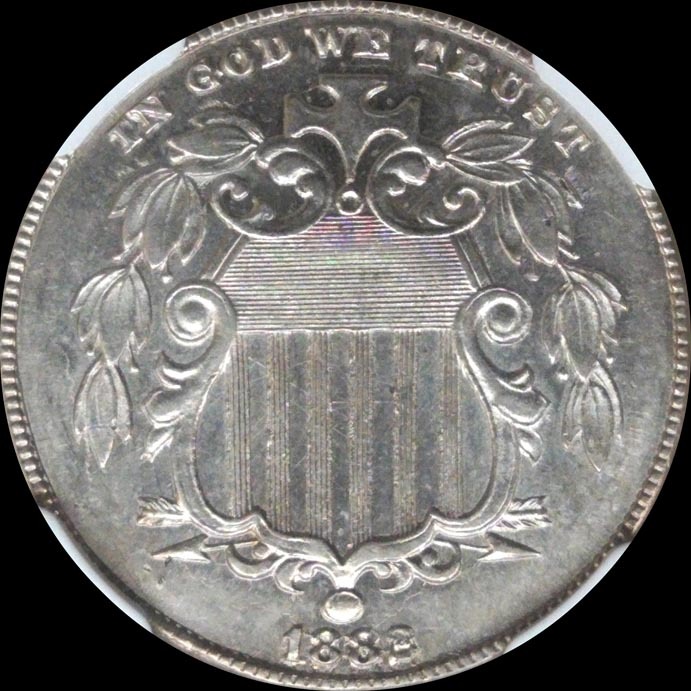 Since the obverse shows a normal die-struck design, it was struck by the anvil die.